BANK ROD AV: 1.5 fish per man. BOAT ROD AV: 2.0 fish per man. This entry was posted in Stocks Reservoir Fishing Reports on October 24, 2011 by Ben Dobson. weighing in at 9lb 8oz. Brian caught the fish along Hartleys just shy of Bell point. Fishing a steady retrieve with his own version of a viva. This entry was posted in Stocks Reservoir Fishing Reports on October 20, 2011 by Ben Dobson. Mark Tyndall and Ian Greenwood had a good morning with 7 fish in the boat drifting the east bank in all but 1 hour! Fishing a Di5 and boobies both guys found the fish tight in along the shore from a drifting boat. As the wind started to pick up they found it trickier to hook fish and to control the flies and indeed their casting! It wasn’t until the afternoon until they had fish number 8 along the willows. Good angling guys and maybe the Di5 is the way to go? I know its feeling a lot colder but the fish are still there, you might be onto something! This entry was posted in Stocks Reservoir Fishing Reports on October 18, 2011 by Ben Dobson. JOHN HOOD WINS THE AUTUMN INVITATIONAL!! This weekend The autumn invitational took place on Rutland and Grafam water. nymphs. Good angling John, worth noting too that his dad finished 8th! 2nd place went to another stocks regular Stevie Welsh, good angling guys and well done to all who took part. This entry was posted in Stocks Reservoir Fishing Reports on October 17, 2011 by Ben Dobson. BANK ROD AV: 1.00fish per man. The fishing has been tricky to say the least. But some solace should be taken in the fact that the weather seems to be staying a lot more consistent. The hard fishing has got to be down to the fact that the weather has not made its mind up for days on end! 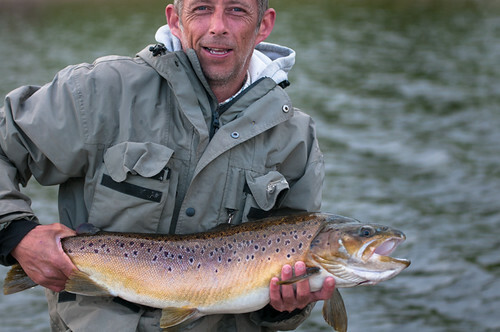 Changeable wind directions dropping temperatures, all things that trout are not fond off! So the weather is now a little more settled and to be fair I’ve seen a fair few fish moving and with unusually high numbers of sedges about the fish are keen to take a dry. Try slowly pulling a sedge pattern across the surface to rouse some interest. Hares ears and diawl bachs have taken a few fish and a roving approach will prove to play a big part in success. Bell Point, Hollins point and the east shore have all seen catches. This entry was posted in Stocks Reservoir Fishing Reports on October 16, 2011 by Ben Dobson.